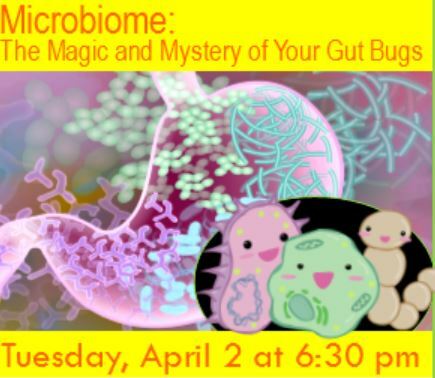 Join us on Tuesday, April 2 at 6:30pm to discover the magic and mystery of your Microbiome. This program, with Donna Green, FCS Educator from Ohio State University Extension, will take us inside the human gut where we will look at our microbial inhabitants. We will examine the influence of “gut bugs” on nutrition, health, and behavior. There will also be demonstrations and tastings on two food items. Registration required and can be done here.